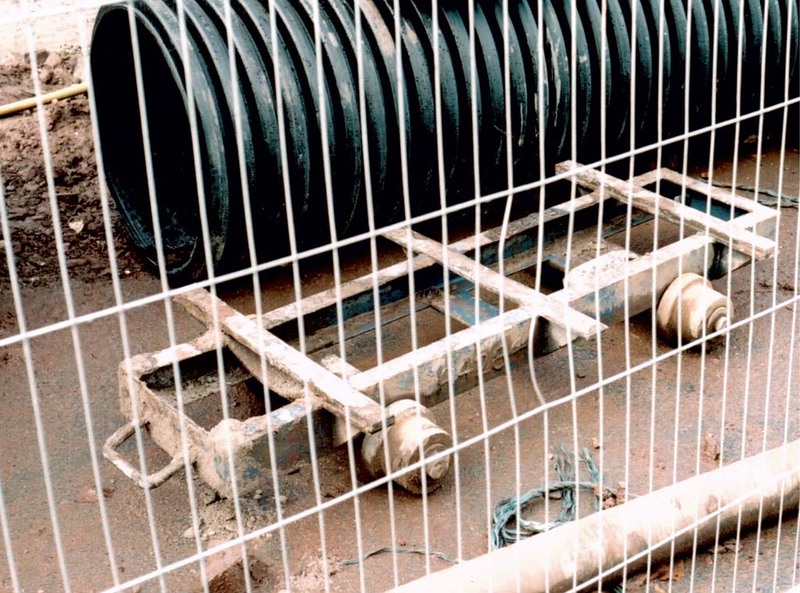 This was a contract undertaken for Severn Trent Water Ltd from 31/10/2007 to around 31/3/2008 for the construction of an underground storm water holding tank, and a replacement sewer and shaft. On 2/12/2007 it was possible to see about six narrow gauge track panels, a trolley with flanged wheels and a couple of skip bodies which looked as though they could be craned onto the trolley. The gauge of the panels was measured, through the fence, at 462mm or nominal 1ft 6in gauge. By 3/12/2007 this equipment was being cleared away and by 12/12/2007 it was gone. Rob was told that it had been used for tunnelling work in the shaft. 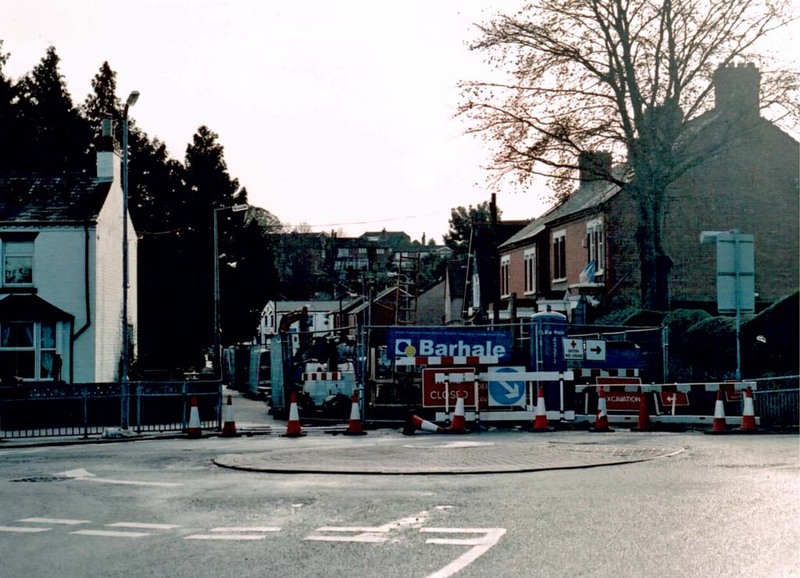 This photograph shows the works site including the shaft looking south along Howsell Road, Malvern. 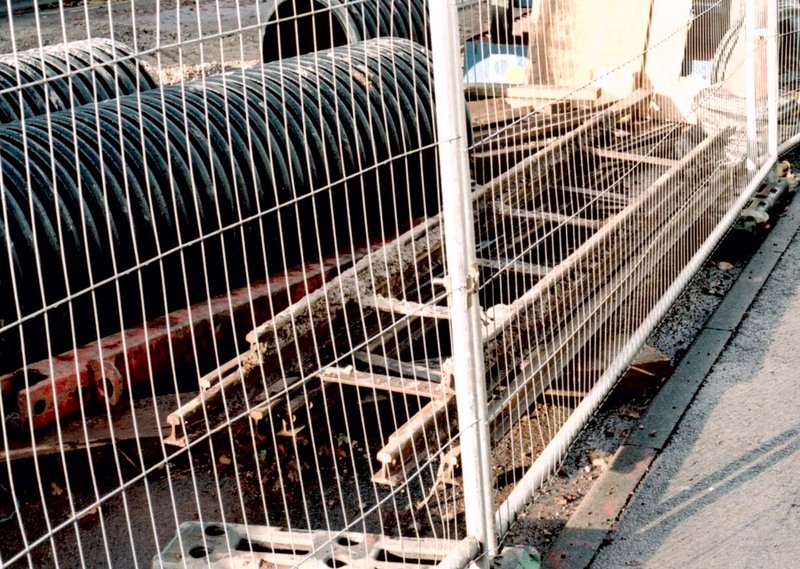 The 1ft 6in gauge trolley that was used during the construction works. The final photograph shows the 1ft 6in gauge track panels. All photographs are the copyright of Robert Pritchard.